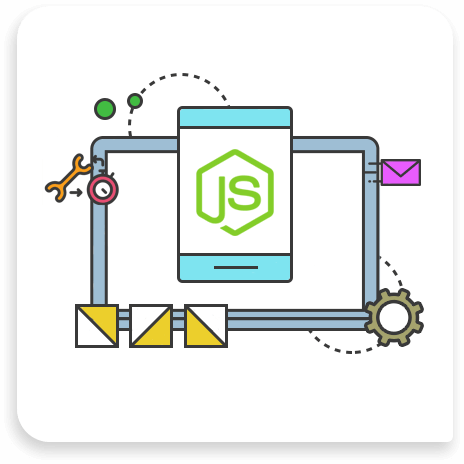 Be it an E-commerce, Social Networking, Collaborative or Business applications, our developers have completed 100+ Node JS projects using an advanced Node JS programming structure. Hire us! ChicMic take immense pride in providing Node JS web & mobile app development services. We are expert in creating RESTful APIs using Node JS & MongoDB. Our core proficiency in Node JS has made us stand among the best. We promise feature-packed Node JS development services to build scalable web applications. A range of Node JS applications that we have developed features a large number of connections handling simultaneously.